Kingston, NY: The YMCA of Kingston and Ulster County’s “Lend-A-Wheel” bicycle reuse program is seeking donations of used bicycles that can be refurbished and used by members of the community who need basic transportation. “The Lend-A-Wheel program gives people who have old bikes, or ones they aren’t using, the opportunity to see that they are put back on the road to benefit the community,” said Heidi Kirschner, President and CEO of the Y. “Working with the support of the City of Kingston, the Ulster County Department of Health and Mental Health, Family of Woodstock and Ulster County Habitat for Humanity, we’ve recycled over 200 bikes since 2014,” Kirschner added. “Many families cannot afford a new bicycle. Recycling and reusing bikes, and ensuring that they are safe to ride, is a win-win scenario for everyone,” commented Dr. Carol Smith, Commissioner of the Ulster County Department of Health and Mental Health. “We are fortunate to live in a community where local residents share their resources to enable those struggling to survive the opportunity to acquire basic transportation. We are fortunate that the City of Kingston provides an environment in which local agencies share resources for the betterment of our local citizenry,” said Michael Berg, Executive Director of Family of Woodstock. “Ulster Habitat has enjoyed the opportunity to work with the YMCA, and we look forward to continuing our wonderful relationship,” said Christine LaValle, Executive Director of Ulster County’s Habitat for Humanity. “We fully support continuing the Lend-A-Wheel program,” she added. Tom Polk, the YMCA Bicycle Educator, at 845-338-3810 x102 or tpolk@ymcaulster.org. The YMCA is an open, inclusive interfaith movement founded in 1866 which advocates Christian principles through programs that build character, respond to community needs and help build spirit, mind, and body for all. 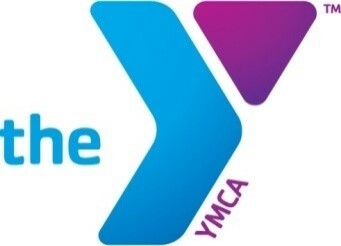 YMCA membership is open to all in the community. Programs are open to the public and YMCA Members, and scholarships are available to those in need. Family of Woodstock, Inc., is a network of individuals who provide crisis intervention, prevention, and support services to help consumers achieve self-sufficiency and self-respect. The common ground which unites us, both helper and helped, is greater than the differences which divide us. Everyone deserves the respect and support of our larger community. Ulster County Habitat for Humanity is an affiliate of Habitat for Humanity International, a non-profit housing ministry dedicated to the vision of a world in which everyone has a decent place to live. It is the mission of Habitat to build affordable homes, better lives, stronger families and safer communities through partnerships with people and organizations throughout Ulster County, regardless of religious preference or cultural background.